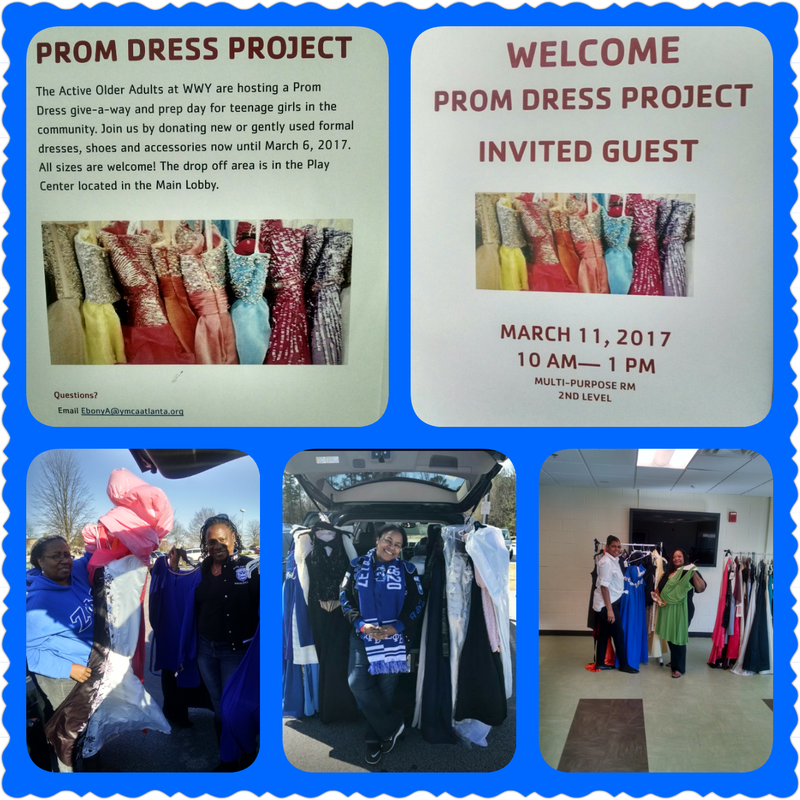 As a new partner with the Wade Walker Family YMCA in Stone Mountain, Sigma Mu Zeta Chapter participated in the 3rd Annual “Prom Dress Project” this year. The senior group at the YMCA, called Active Older Adults, developed this program, which includes a dress/gown drive for young ladies less fortunate than others in the community who attend high school proms and or middle school dances. Some of these girls came from group homes, along with others from the community. Sigma Mu Zeta donated thirty-one (31) dresses, a few accessories, and shoes for the event. 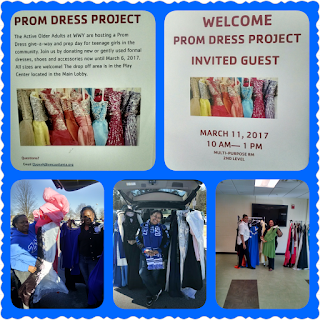 On Saturday, March 11th, the chapter members volunteered by setting up boutique like displays by size and color and assisted in young ladies' search for “that special dress”. The young ladies shopped with their parents while taking a break for the lunch that was also prepared for them. They were given make-up and perfume samples from the Avon representative on duty as well.